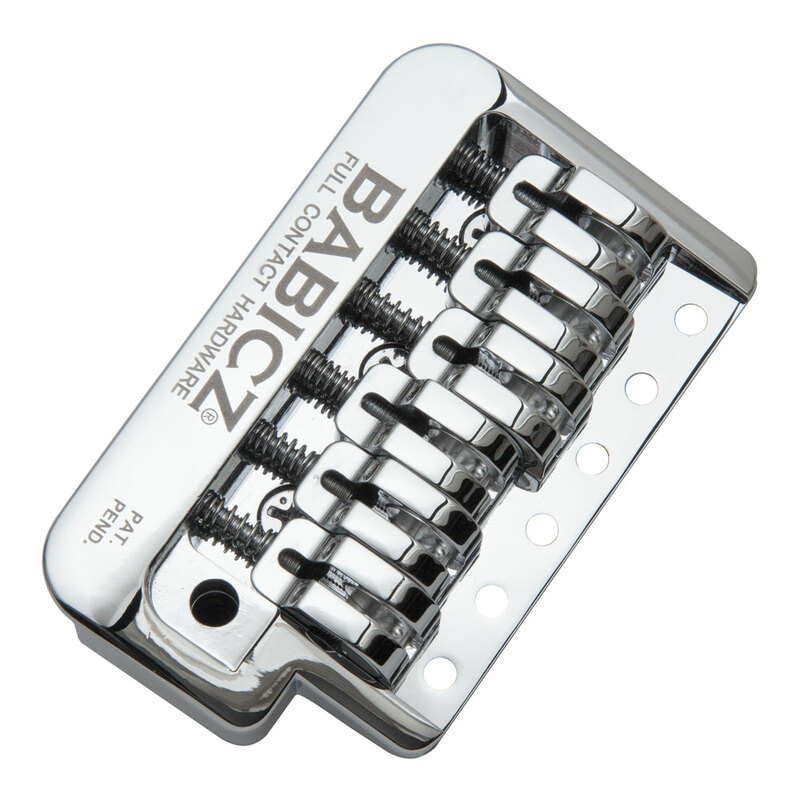 The Babicz FCH Original Series Narrow Strat Tremolo has the string and screw hole spacing of a Fender Mexican Standard and features their patented eCAM saddles. The guitar string sits on their specially shaped 'encapsulated cam' which when adjusted, rotates in the housing smoothly changes the action of the string up or down, because the cam is fully supported by the saddle housing, which sits flush on the base plate, the connection between the string and the guitar body is greatly increased, maximising sound transmission. 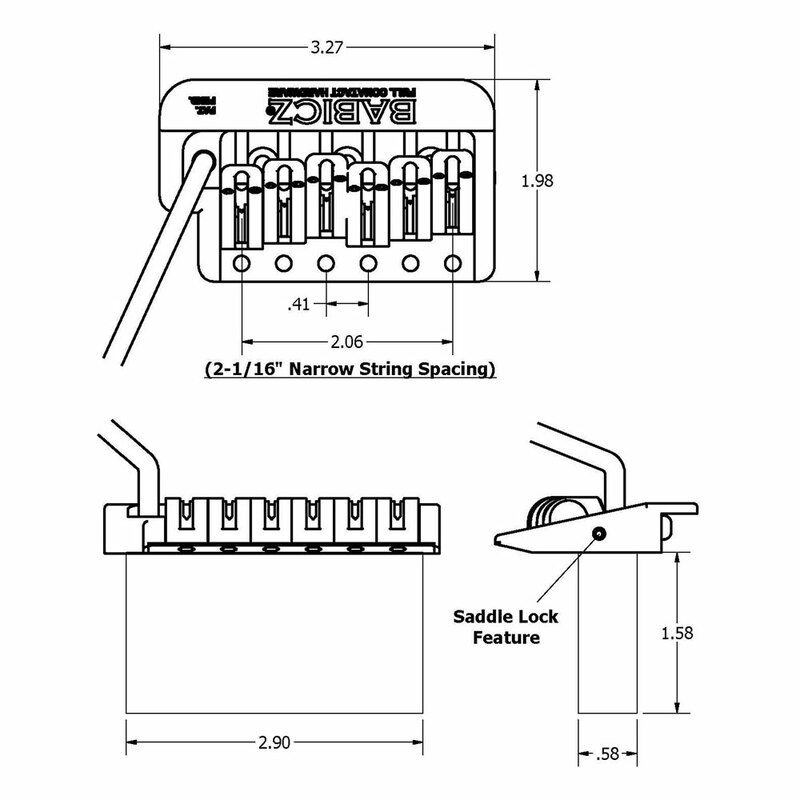 A separate screw locks the height adjustment of the saddle in place once action has been set and a screw in the side wall of the tremolo plate tightens against them to stop any sideways movement of the saddles. The bridge features a steel base plate for durable knife edges at the pivot points.